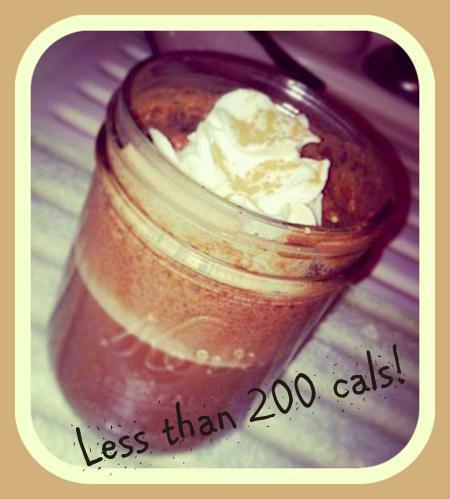 The average mocha frappuccino is 400 calories. 400!! That’s a lot of calories. But don’t worry, I have you covered. I was really craving something chocolaty but wanted to make sure I stayed under my 1200 calorie goal for the day. And I didn’t want to splurge a good 400 on liquid calories. I would much rather eat them! Recipe Makes enough for 2 servings. Feel free to spice up the recipe by adding some dark chocolate syrup on top or roasted coconut or even black cherries!